Well folks, it’s been awhile and for that we apologize. I’ve been on the road for work for the past 22 days travelling to both the east and west coast. And K has been preparing for parent teacher conferences and all the fun stuff that goes along with that. Needless to say, things have been a little hectic the past few weeks. Hopefully now that we have a bit of downtime for the holidays we can get down to business and crank out a few more posts. 🙂 Anywho… moving on. After posting the original article on the forthcoming Philips Hue wireless LED lighting, I excitedly ran to the nearest Apple Store (during a 3 day break from travelling) and picked up a starter kit to give them a whirl. I rushed home and immediately began tearing into the packaging. Picture a 10 year old kid on Christmas morning (have I mentioned I love Christmas?). 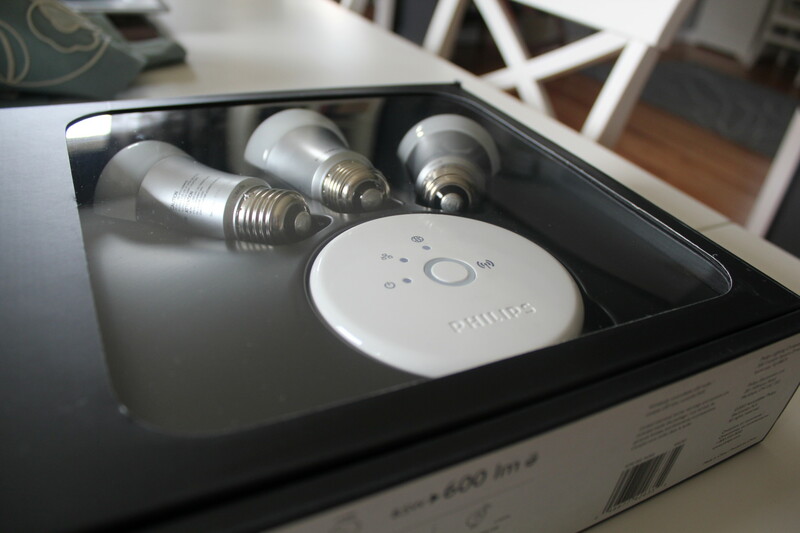 The starter kit came with 3 bulbs and a wireless gateway. Setup was a cinch. It took a total of 10 minutes 6 of which were spent “oohing” and “ahhing” over the the lights themselves. The remaining 4 minutes were actual setup. – 4 easy steps. 2) Connect gateway to router. 3) Push “conncet” button on gateway. Now, because there were only 3 lights in the starter pack I wanted to keep them all lumped together in one room. 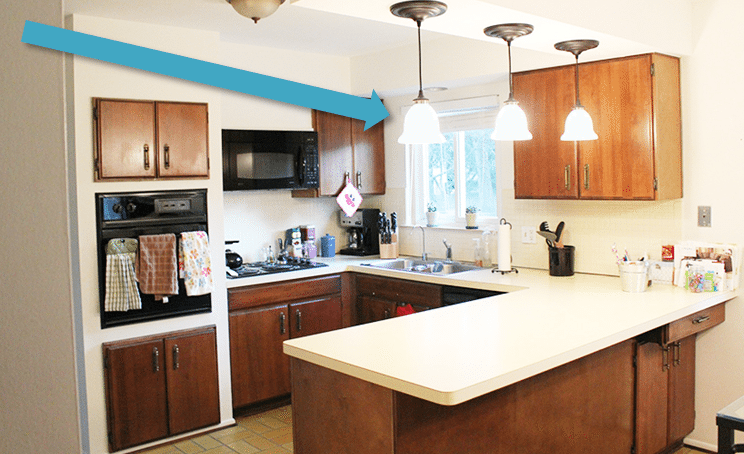 So while wandering around the house I randomly chose our 3 pendant lights that hang over our kitchen counter. We use these every morning so it seemed like the perfect testing ground. Once we were up and running I hopped over to the family room and popped a squat on sofa to launch “Donnelly Cozy Test #1” because, let’s be honest, the coolest part of wireless lighting is being able to sit back and control the lights while wrapped under your Christmas blanket, next to a roaring fire, all while watching your favorite Christmas movie. Functionally it was awesome. 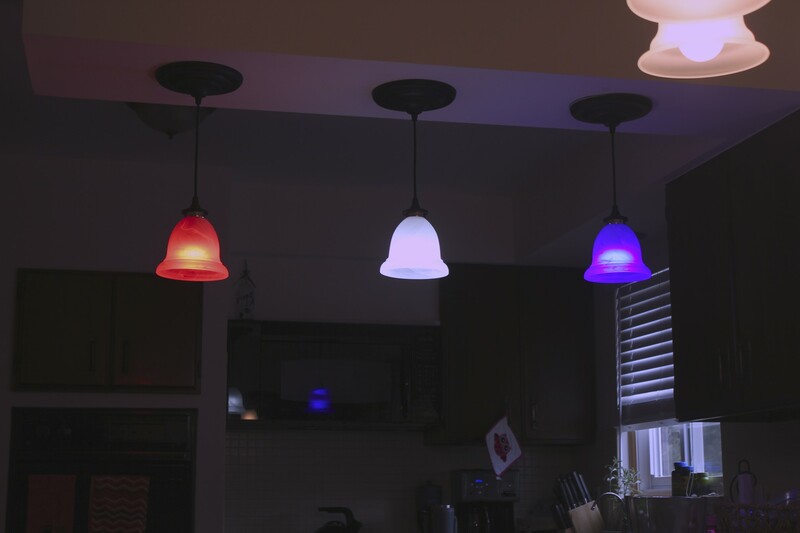 I could control the lights, dim the lights, change the color/mood of the lighting. And naturally, the first thing I did was make a Christmas color setting… Annnnnnnd, unfortunately, the picture I snapped didn’t turn out so you’ll have to use your imagination. What wasn’t so awesome was the user interface (UI) and overall user experience (UX). 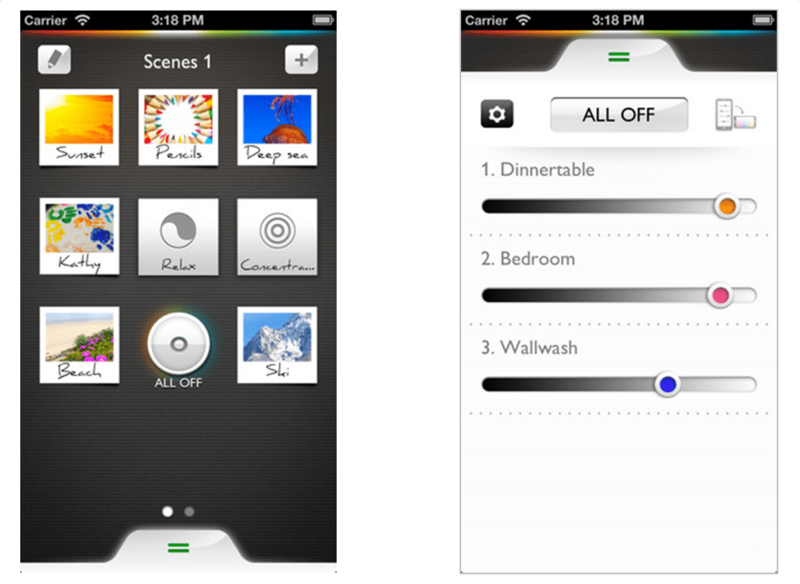 The functions within the app are disorganized and there is no easy to access “on/off” function. To turn on, you must select your “recipe” (recipe is their creative way of saying light/color settings) meaning that every time you want to simply flick a light on for basic light and not for mood lighting you’re stuck toggling through your recipe list to find whichever setting you consider normal. It seems as if they prioritized the idea of light recipes (which are cool) and put everyday use on the back burner. 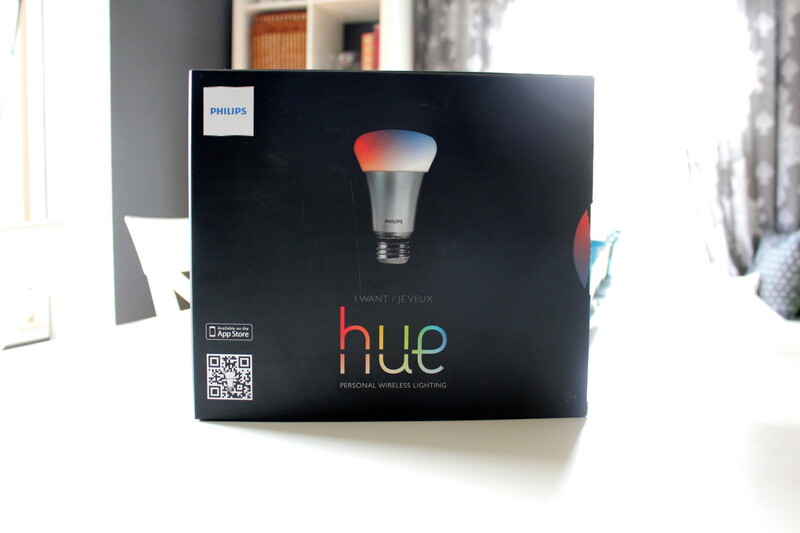 To be fair, Philips made the very smart decision to create an open source technology around their bulbs meaning in due time, someone, somewhere, will have a beautiful, functional, well designed app. But until then, I just could not justify $200 for 3 light bulbs that function exactly as they should but of which I do not enjoy the experience. As I’ve mentioned before, I’m a sucker for beautiful app design and this does not make the cut. Anybody out there have experience of their own? Agree? Disagree? indifferent? We’d love to hear from you. I’ve never even heard of those and although they look pretty cool….I too couldn’t enjoy them knowing the price tag was $200.00.